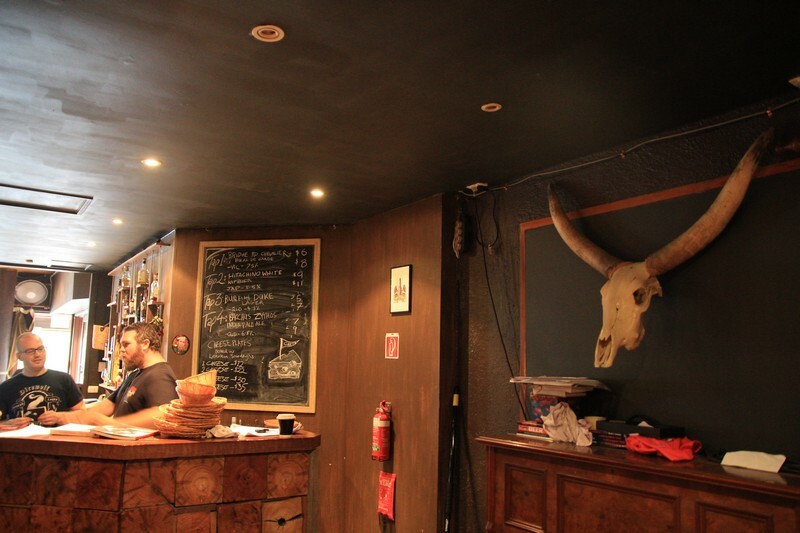 I had the pleasure last year of checking out The Scratch on its second day of business, and was charmed from the moment I first laid eyes on their chalkboard: “CRAFT BEER DIVE – OPEN NOW FOR CHEEKY LUNCHTIME BREWS”. Milton is home to the XXXX brewery as well as a handful of shinily trashy bars; The Scratch is a brave poke in the eye to the well-established banality of Milton’s drinking and dining scene. To call it a dive is probably fair, but it’s the best thing to happen to Park Road in a long time. Indeed, despite its darkness, rather cosy size and unfortunate location on that traffic-addled road, it may be that this dive is in fact the first bar in Milton that is not an utter shithole. Instead, the Scratch is a true labour of love – as is demonstrated every time one of the owners emerges from behind the bar with free beer samples for the punters to taste and stories of the brewery it came from. Chat to any of the three blokes that run this establishment and you will witness true passion for beer in all its forms, as well as for many things that only vaguely resemble beer (ever tried barley wine? 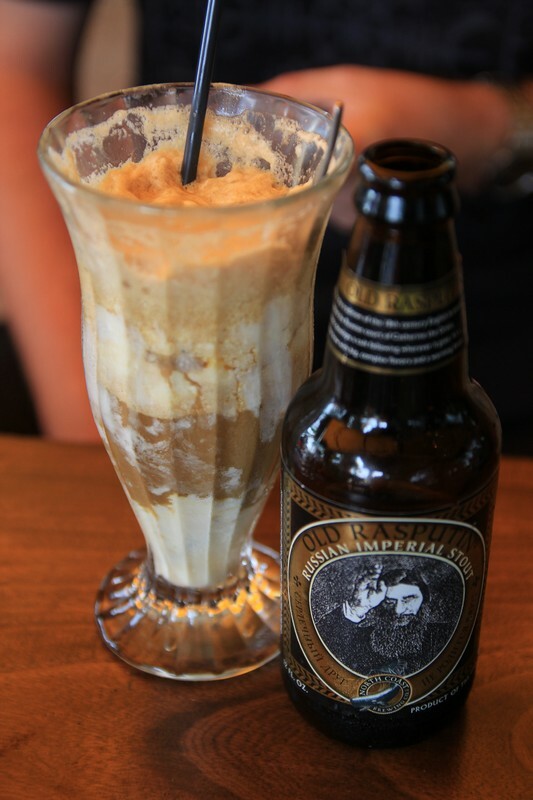 or a stout milkshake? yummy). You will probably also be exposed to brands and even beer types that are entirely new to you. Discovery of the day for me was certainly the exceedingly high quality beer that a place called Brew Boys in South Australia puts out, which is beautifully labelled and delicious. The one seeming drawback of a session at The Scratch is that it will generally cost a bit more than a night on the average Carlton rotgut, but after about four beers from this place it dawned on me (hazily) that the extra dollars spent (around $8-$20 per stubbie) do tend to translate into more standard drinks. This is not a place to visit on an empty stomach, as many of the arcane brews on offer have high alcohol content and some are truly powerful. Fortunately the interior is pleasant, so there’s no drawback in taking things slowly. The Scratch does have the ‘dented op-shop finds’ look that is becoming rapidly cliche, but they carry it off quite well and it’s still infinitely preferable to the gauche ‘chrome ‘n glass’ vibe that is favoured by bogan establishments. 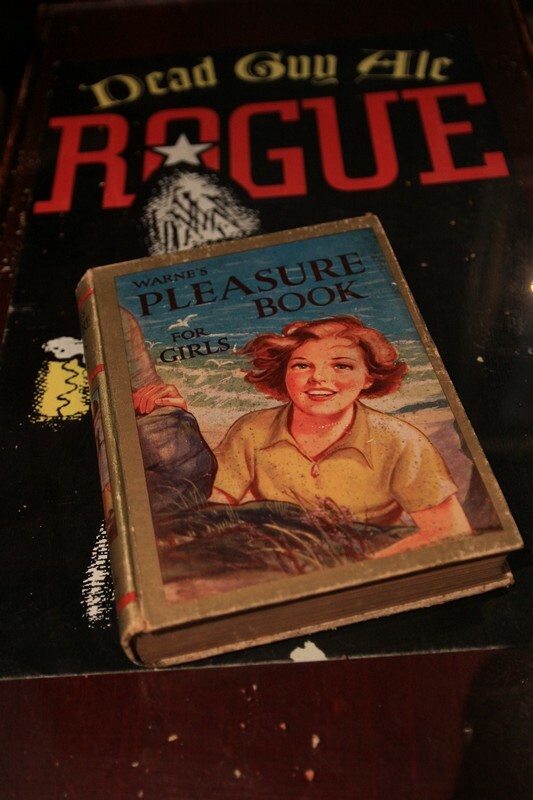 They’ve also made some quite decent finds – ‘Warne’s Pleasure Book For Girls’ joins the general adornment of dark wood, retro board games and widely-scattered toy soldiers. Onya, Shane. The games are a nice touch. ‘Barrel O’ Monkeys’ is enragingly hard after a few hours in The Scratch, but definitely enriches the visit for a lot of people. For the peckish, a selection of very tempting artisan cheeses is on offer, though I was a bit too fixated on the liquid side of my adventures to sample the range. Another perk of this place is the ‘bring your own food’ policy, though the general culinary dross in this area might make it tricky to find a worthwhile snack. At its best moments, The Scratch transcends its location and puts forward some really new beer experiences, in ways that I haven’t experienced even at worthy competitors like Kerbside and Bitter Suite. I’m glad it’s already getting the love it deserves; here’s hoping it sets a few much-needed precedents in the city’s inner-west. It’s an easy stagger from Milton train station so you really have no excuse but to go and have a look. 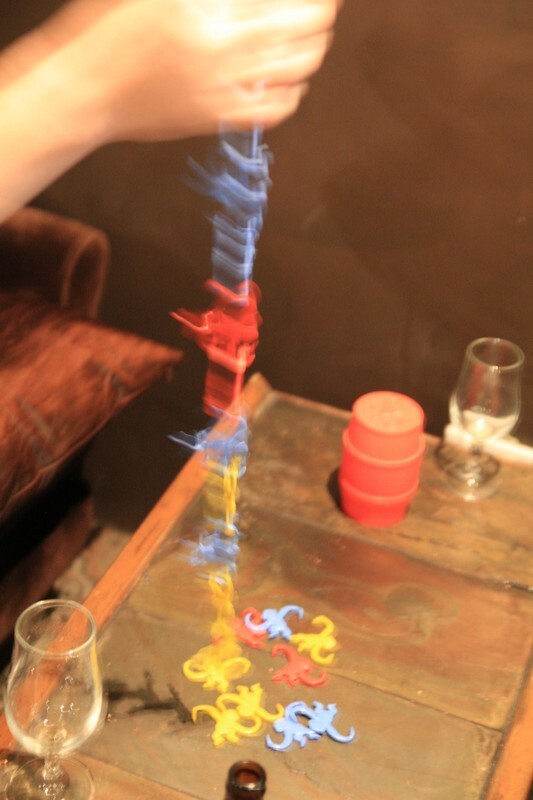 This entry was posted on January 18, 2012 by Philistine. It was filed under Uncategorized and was tagged with Beer Review, Craft Beer, Drinks, Milton, Recommended. 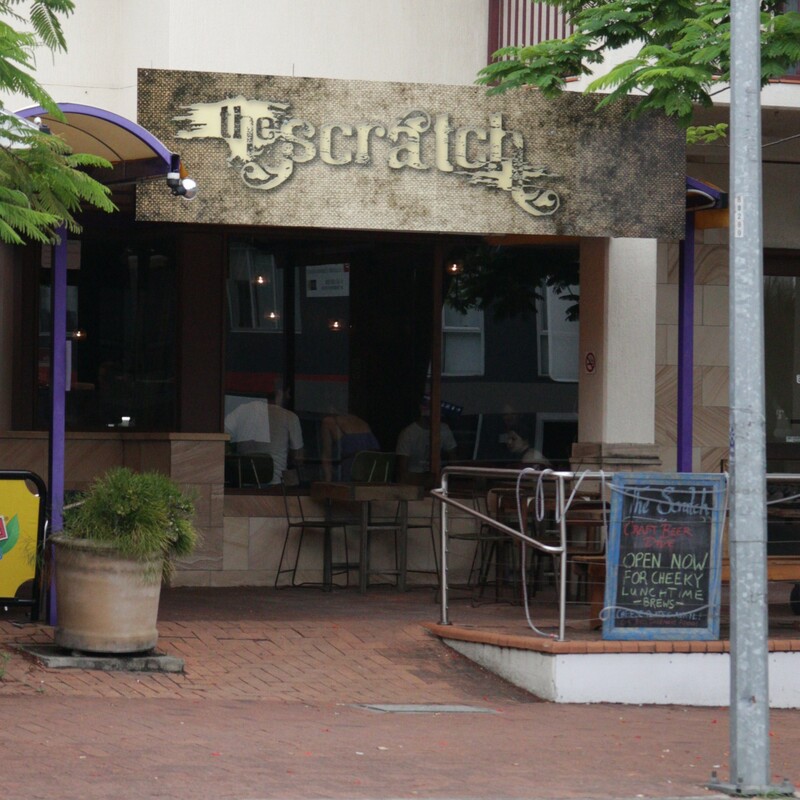 The Scratch Bar another great review guys. 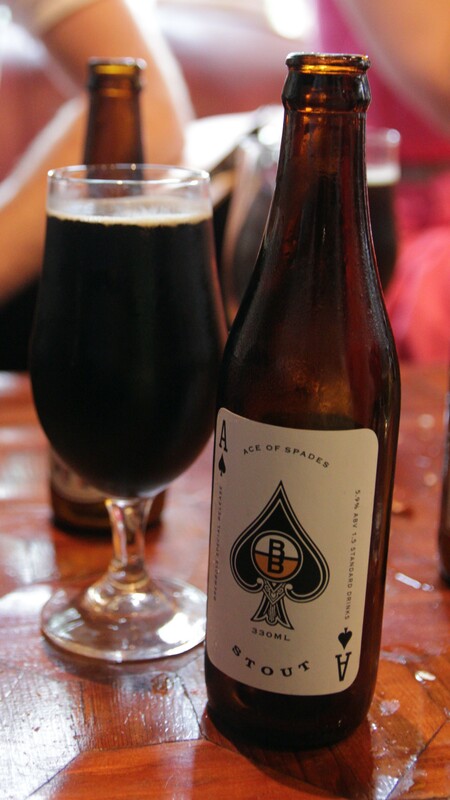 Thanks for the kind words regarding Ace Of Spades but just to clear something up we certainly are not bikies here at Brewboys, I am not sure if I have even meet a bikie who drinks craft beer. Cheers Jayse, craft beer bikies are an appealing idea but we still love you all the same. I’ve fixed the article. Thanks for making such awesome beer, it’s really been the highpoint on both my visits to The Scratch. Haha, definitely did not say the joint was run by bikies. If anything, I perhaps mentioned that when I visited the cellar door there were a bunch of friendly bikie lookin’ people drinking brews. BUT agreed, damn good beer (Voted for it in the top 100 Aussie beers) and appreciate the review! Make yourself known next time you’re in! All fixed, I seem to have got that fact wildly wrong. Sorry gents! cool i’ll have to give this place a try! Awesome article! 😀 I am a true philistine when it comes to beer, but this is still very interesting. I can’t even imagine what a stout milkshake tastes like. You must take me out for beer one day. “it may be that this dive is in fact the first bar in Milton that is not an utter shithole.” was such an excellent line. Made me laugh quite hard. I was wondering where in Park Road this was. Thanks for the photos – makes it easy to find. No worries. Enjoy the taps tonight, they look to have a few special things going on.